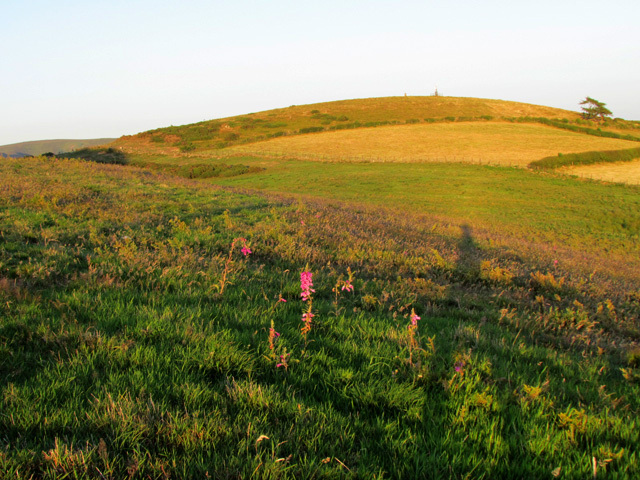 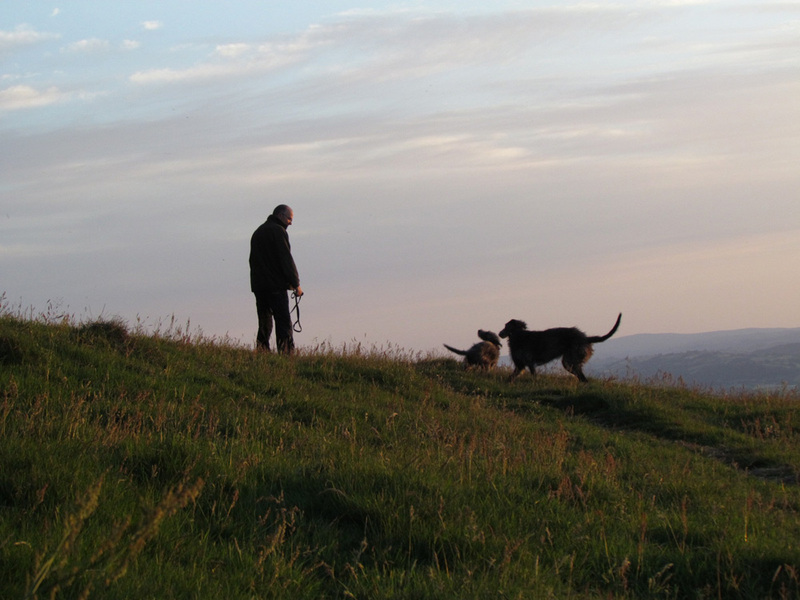 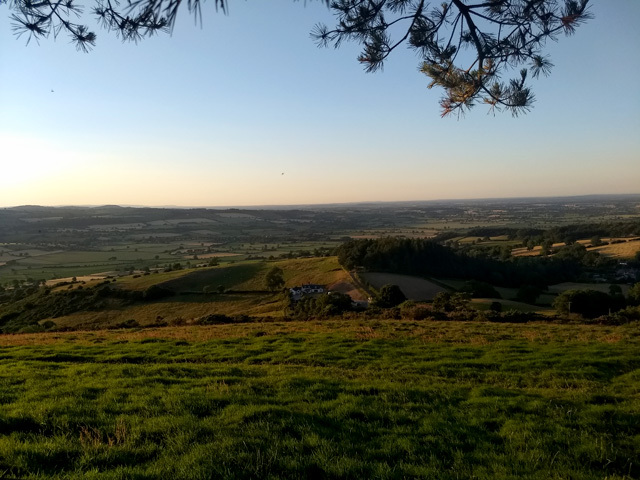 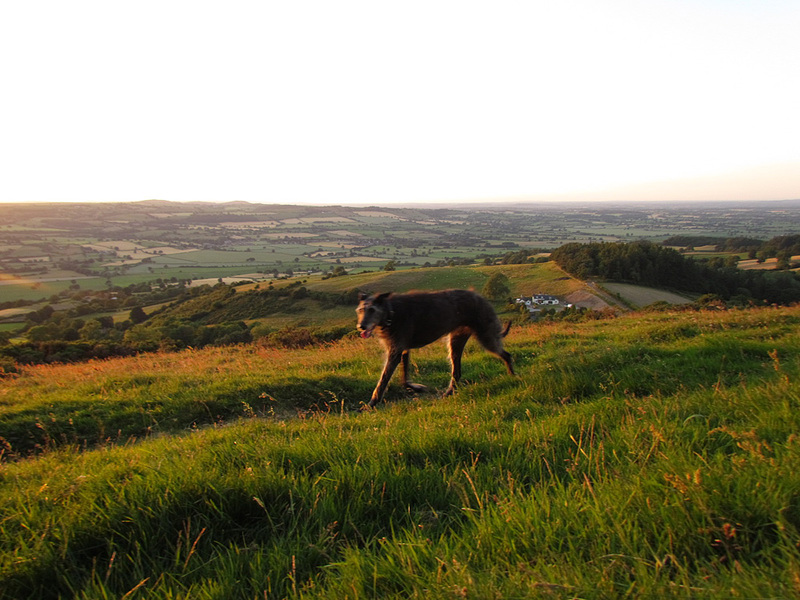 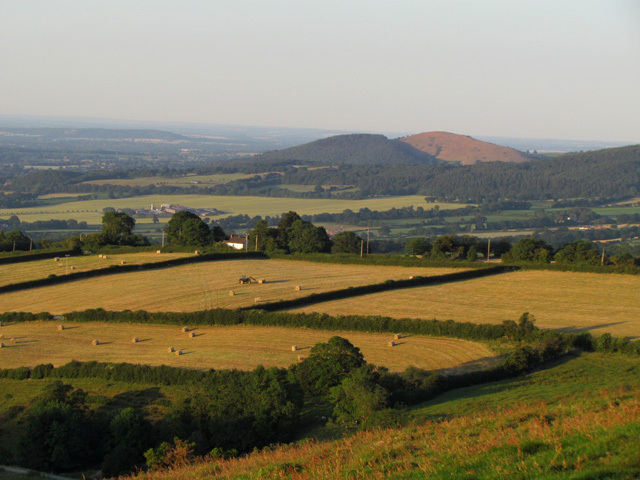 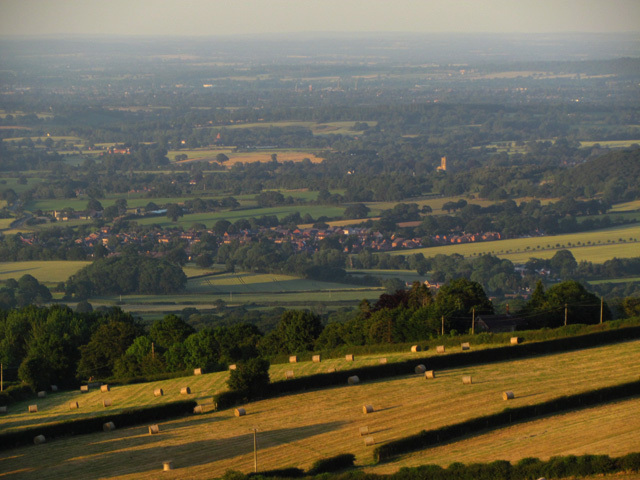 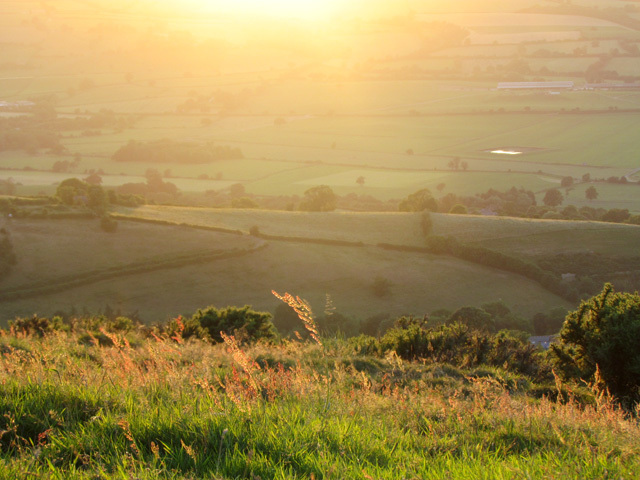 A walk up Bromlow Callow in Shropshire as the sunset, blanket to sit on and something to drink. Along with the shadows and the last rays came a dog and a pup, a Brillo and a scamp. 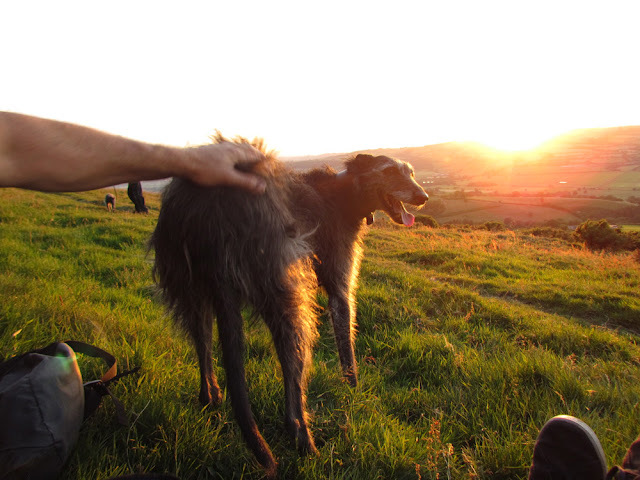 Long legged and long snouted, coming over for a back scratch and a happy sniff before running off to play on top of the hill in the golden hour grass.